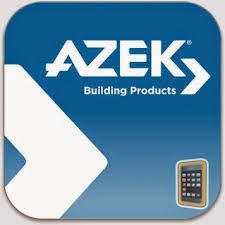 The Building Digest: Azek iPad App Now Available! Azek iPad App Now Available! It’s time to turn the dreams of any home and outdoor living space into reality with the AZEK Building Products iPad App. From inspired trim and moulding applications, deck and railing designs, porch colors, and paver layouts, the AZEK App puts the power of creativity in your hands. Mix and match products, designs, and colors. Create a home design that anyone would truly be proud to call their own. And, then, step from the world of flat, 2-dimensional visualization into the future using visionary, 3D technology to, literally, make the AZEK House come to life.